The Academy The Academy is a hosting a "Fill the Food Truck" event, collecting donations of nonperishable and non-food items that the corps will use this summer to serve and feed its corps members this summer. Blue Knights Blue Knights posted a video recapping highlights of the corps' March rehearsal camp. Check it out on YouTube. Blue Stars Blue Stars are recruiting drivers to operate its fleet of vehicles during the corps' 2013 summer tour. The Cadets The Cadets are in need of an athletic trainer to work with corps members during their spring training rehearsals in May and throughout their summer tour. A stipend for the position is available. Cascades Cascades still have positions open in its brass, color guard, cymbal and front ensemble percussion sections. The corps next rehearses April 19-21 in Bellevue, Wash.
Colts Colts are raising funds to back the production of "No Boundaries," a documentary film about the corps' 2012 summer tour. Jersey Surf Jersey Surf posted several updates to its 2013 rehearsal and summer tour schedule. Madison Scouts Madison Scouts introduced the three individuals who will serve as drum majors during the corps' 75th anniversary season in 2013. 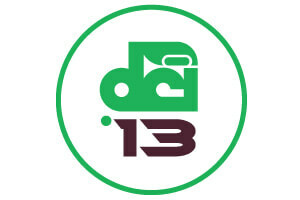 Phantom Regiment Phantom Regiment's Show of Shows DCI Tour event has been nominated for an award presented by the Rockford (Ill.) Area Music Industry. Your online vote can help the corps receive the honor.